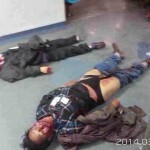 On Saturday night, a group of men stormed Kunming’s train station. 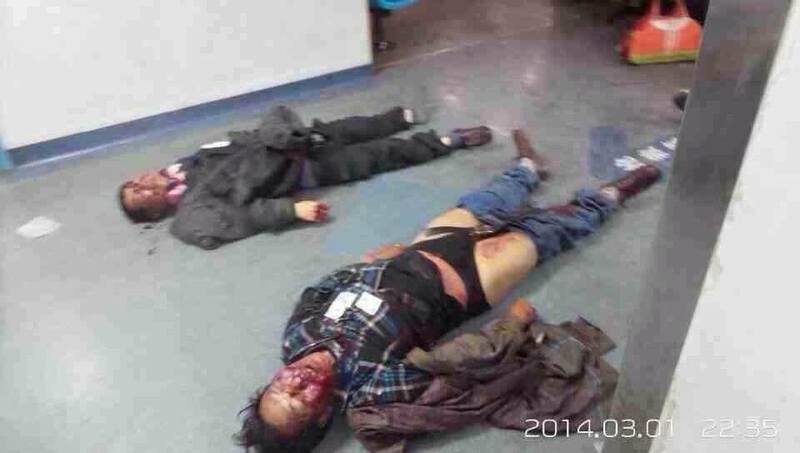 Slashing unsuspecting passengers with long knives, they left 29 dead and 130 severely wounded. 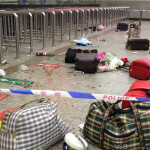 Several people hold Uighur Muslims responsible for the attack, causing xenophobia to rise. Around 9 pm on Saturday, a group of at least 10 armed men entered the main train station in south-western China’s Kunming, the capital of Yunnan province. Although initial reports made mention of groups dressed as police officers, it seems they were simply wearing black. The group immediately started slashing and stabbing people with long knives and took 27 lives while gravely injuring another 109 people. 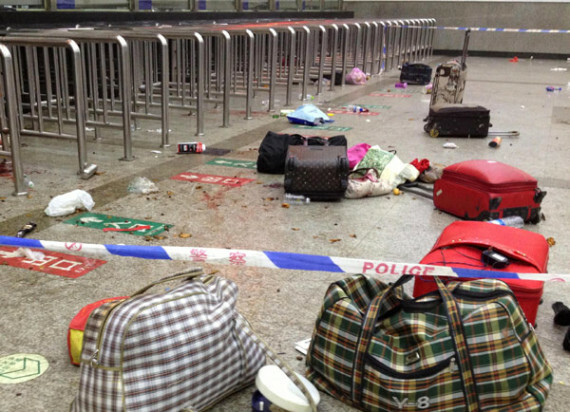 UPDATE 10.55 am: Xinhua is reporting that the death toll went up to 29 killed with 130 injured. When the police arrived at the scene, they shot five attackers dead and arrested two men alive. Medical teams treated the wounded and kept sending people to the hospital during the night. 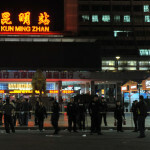 Although there is no official mention of it, the fact that the police shut down Beijing street, the main arterial road to the station, may indicate that some attackers are still suspected to be on the run. Some of the pictures that emerged on social networks Weibo and Weixin (WeChat) show gruesome wounds to people’s faces and limbs. 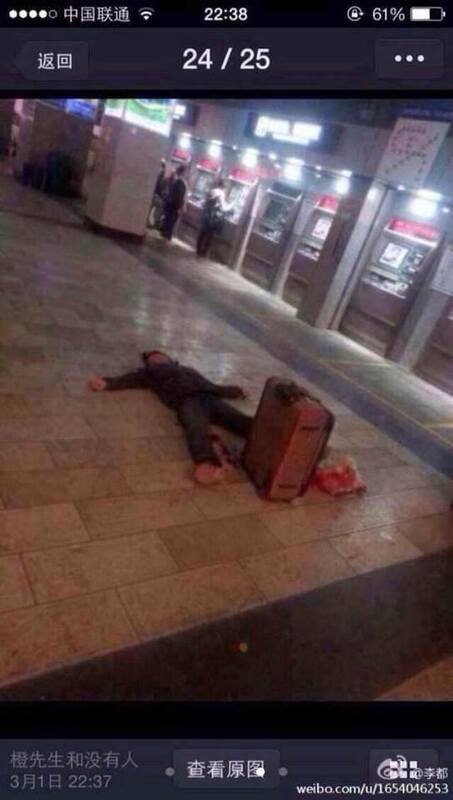 Although authorities do not call the incident a terror attack, UPDATE 3:40 am: China’s state television CCTV has condemned the incident as a ‘violent terror attack’. It certainly looks like the attack was planned and the men were trained to kill. As to the identity of the attackers, there is little certainty. Many Chinese netizens blame Uighur Muslims from China’s north-western Xinjiang 新疆 region for the attack, but there is no official word yet. UPDATE 10.44 am: Based on evidence found at the crime site, China now officially suspects ‘Xinjiang separatist militants’ to be responsible for the attack. No mention is made of what such evidence might be. 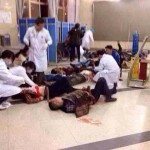 If Uighur Muslims are indeed responsible for the attack, then this is the second alleged Muslim terror attack in China since a car ploughed through crowds in Beijing’s infamous Tian’anmen square in October last year. Yunnan arguably has not seen any terrorist attacks, but the term ‘terrorist attack’ is ambiguously used by official Chinese sources and heavily depending on the ethnicity of the person(s) carrying out the attack. 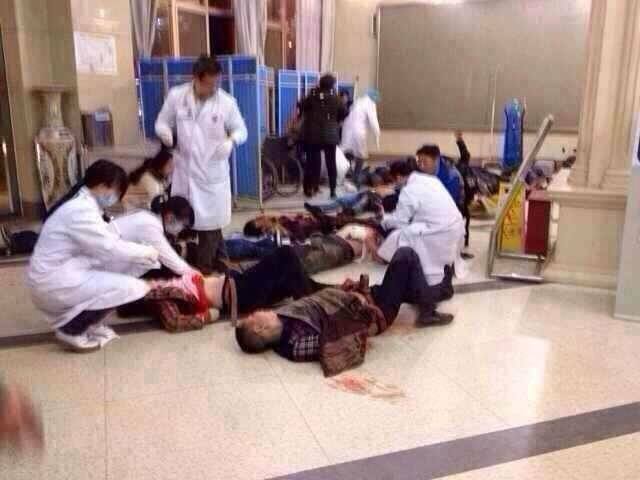 For example, official news agency Xinhua never described the Taiyuan bombing last year as a ‘terrorist attack’. Reactions on social media and on the street are strongly divergent. 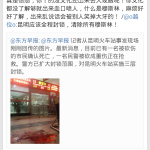 While a lot of people are merely voicing their sympathy with the victims with pictures of candles, others call for a purge of all Muslims in Kunming. Still others are trying to temper racial violence, urging fellow citizens not to put everyone in the same box and wishing peace for everyone including the Turkic Uyghurs. 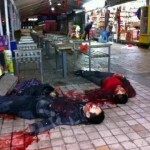 Still, this incident will undoubtedly contribute to Han fear for ethnic minorities in general and Uighur in particular. Weibo user @o越位o calling for a purge of all Muslims in Kunming, and another user scolding him for stupidity. The largest ethnic group in Xinjiang, Turkic Uighur Muslims complain about violent oppression by the central Chinese government. Even though Xinjiang is a so-called autonomous region (implying that their governments are composed of members of the ethnic minorities), the region has seen a lot of unrest in the recent years, with violent clashes between Uighur and Han majority erupting regularly and armed forces occupying the region’s capital city of Ürümqi 乌鲁木齐. The Chinese government claims that this is needed to defend territory and people against violent separatist movements. 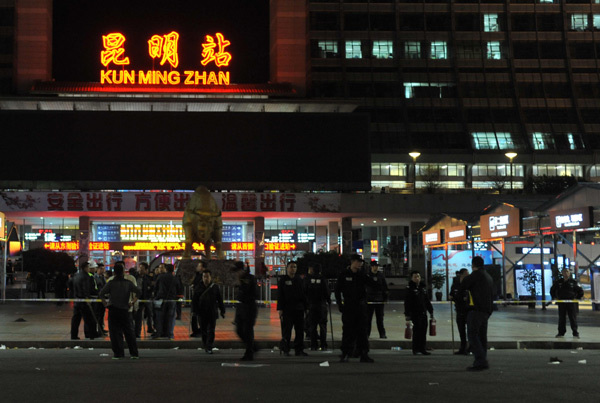 UPDATE 4.50 am: According to Xinhua, president Xi Jinping said the terrorists of this violent attack must be brought to justice, and has dispatched head of security, Meng Jianzhu, to the Kunming to investigate the situation. Xinhua also reports that premier Li Keqiang has tasked himself with hunting down the terrorists and punishing them heavily. 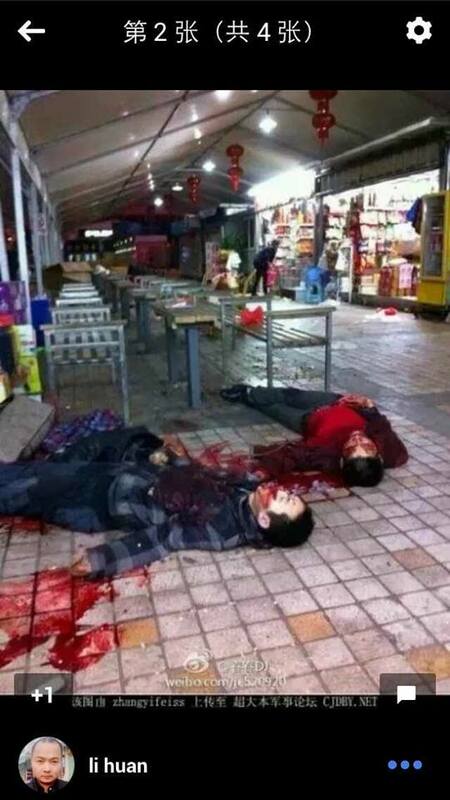 Beijing has ordered all China-based newspapers to follow the official Xinhua word when reporting on the massacre. 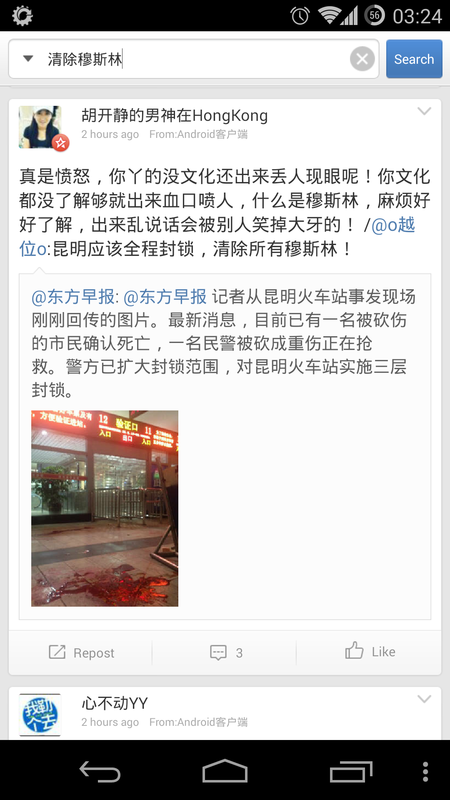 UPDATE 4.50 am: Authorities are removing bloody pictures of the incident from social network Weixin (a.k.a. WeChat). I have included some below. Beware: they are particularly gory. All over social media, there is disbelief and outrage at the brutal slaughter of so many innocent people. Many posted pictures of candles in support of the victims. Official police Weibo accounts extended condolences to the injured and families of the dead, promising to strike back hard-handedly. They also called for blood donations to the blood bank, having set up twelve donation points all over the city. Details emerging from witness accounts reveal that at least two of the assailants were women, one having been arrested by the police immediately after the facts. 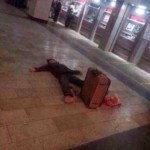 The attackers are reported to have used 60-80 cm long knives with a slightly curved tip, and said to have worn the crescent-and-star emblem associated with the East Turkestan Islamic movement, a group vying for independence of Turkic people in Xinjiang. Might it be an Opera issue or an issue with any installed extensions? At any rate there seems to be no problem in all other browsers. I’ll have a look anyway when I get back home. Thanks for letting me know! to the blood vessels through lungs and more precise titration such that the required level is obtained and not exceed, allowing appropriate as well as consistent dosage. Make Your Internal Organs Feel Safe with Vaporizers. Best portable herbal vaporizer releases the natural life, energetic and full of weeds and vaporizer herbal, and the active ingredient of resources. Ironpants does just that suggests you will see that the plan has to perform their daily lives. hunter 2014 hack entertained. Like Ya Use To deer hunter 2014 hack 7.